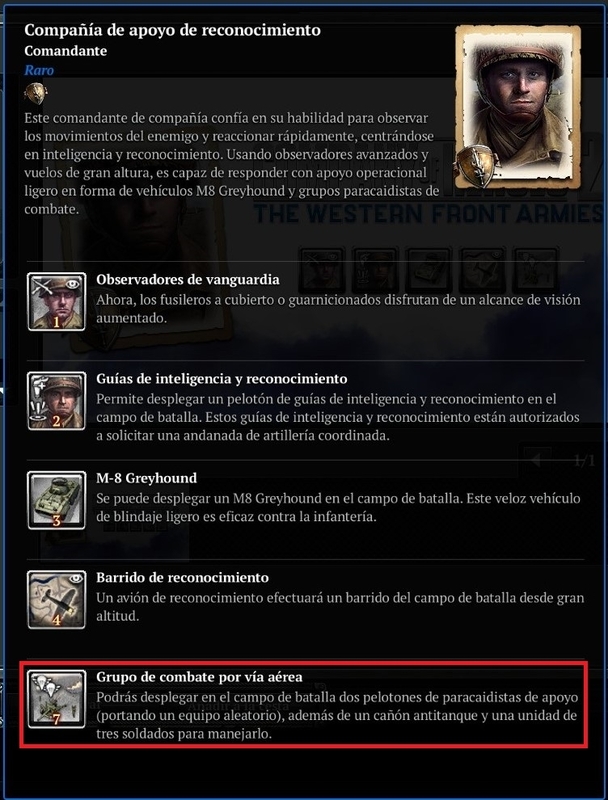 Hi, I have created this post to report a bug in a USF Commander: "Recon Support Company". The bug is very simple. The last hability, "Airdropped Combat Group", has a description that not correspond with the action of that hability. "You can deploy two squads of support paratroopers on the battlefield (carrying a random set of equipment), an anti-tank gun and a unit of three soldiers to handle." When I use this hability don´t appear the "unit of three soldiers" to handle the antitank gun. My questions is: Where is the bug, in the action of the hability or in the description? Thank you for all and I wait your answer.